Volkswagen's continuing push into the U.S. market could be called Something Old, Something New, Something Borrowed, Something Blue. "New" would be the coming mid-sized sedan, "borrowed" would be the Routan, "blue" would be BlueSport, and "old" would be the VW Polo. 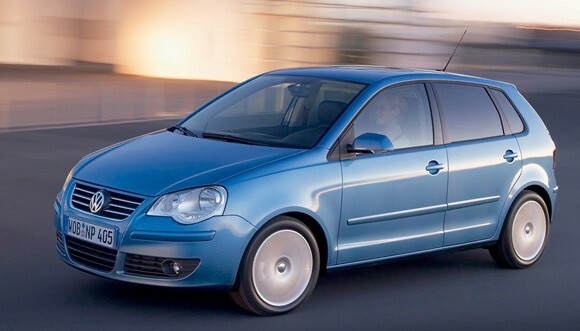 The version of the Polo we'll be getting in 2011 is expected to be at this year's Geneva Motor Show. Since it is coming to the U.S. and VW will need to convert American buyer to the idea of a supermini, we are looking for it to be a beautiful leap forward over the current MkV. [Source: AutoWeek]U.S.-bound 2011 Volkswagen Polo headed to Geneva originally appeared on Autoblog on Wed, 28 Jan 2009 13:31:00 EST. Please see our terms for use of feeds.